Kurzweil Music Systems and UK distributor Sound Technology Ltd are proud to announce that the all new Kurzweil SP6 Stage Piano is now available. Following the standard of sonic excellence established by the Forte®, Forte SE and PC3 series, the SP6, powered by the new LENA® processor, brings your performance to new heights with its astonishing sound quality, light-weight, depth of control and simple operation. 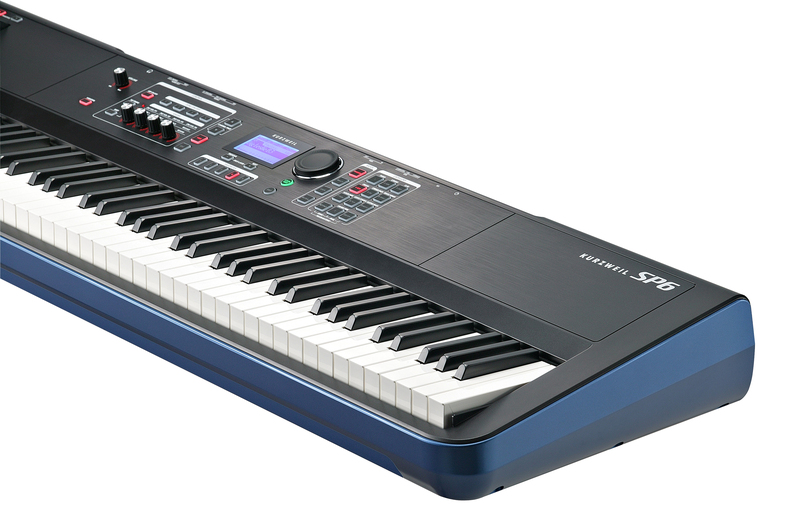 The Kurzweil SP6 Stage Piano is available now priced at £949 RRP inc VAT. For more information on the Kurzweil SP6 Stage Piano please click here. Kurzweil is distributed in the UK and ROI by Sound Technology Ltd. For more information please call 01462 480000 or visit www.soundtech.co.uk/kurzweil.